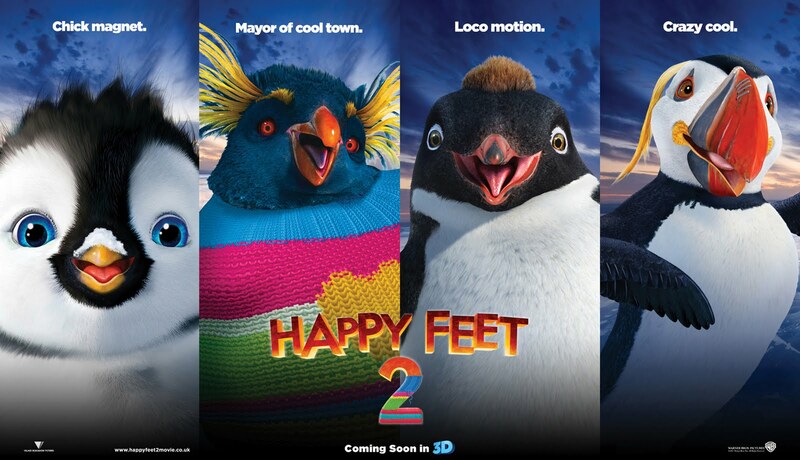 Warner Bros. has just unveiled the poster and banner artworks for “Happy Feet Two”, the sequel to “Happy Feet”. In the film, Mumble The Master of Tap has a problem because his tiny son, Erik is choreo-phobic. His son is reluctant to dance and one day runs away and encounters The Mighty Sven — a penguin who can fly. Mumble has no hope of competing with his new found friend but things get worse when the world is shaken by powerful forces. Erik learns of his father’s “guts and grit” as Mumble brings together the penguin nations and all manner of fabulous creatures to put things right. Catch the banner artworks (be sure to click the banners to see it in full-res) after the break. Opening soon across the Philippines in IMAX 3D, 2D and regular theaters, “Happy Feet 2” is distributed by Warner Bros. Pictures, a Warner Bros. Entertainment Company.